It’s the most wonderful time of the year. No seriously, it really is! Of course it can be hectic with all the Christmas parties, school plays, shopping and decorating. 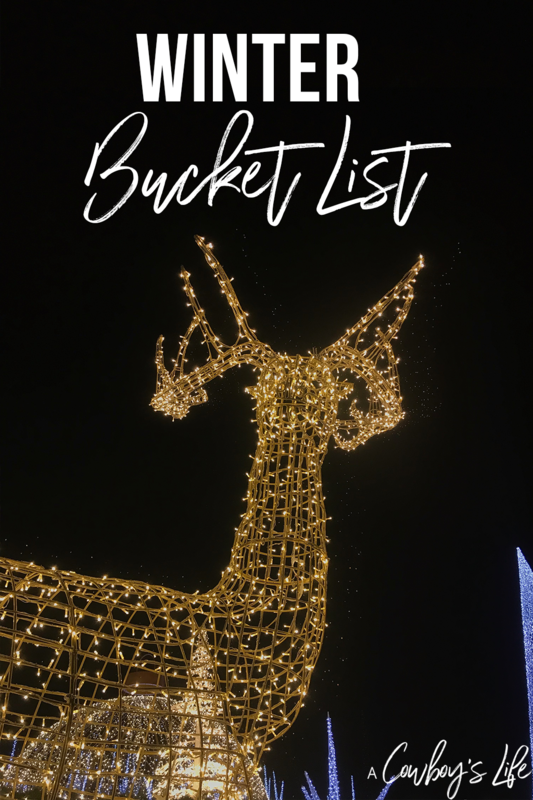 That’s why I think it’s important to write out a family winter bucket list to keep us organized and ensure we make time for creating memories together. It’s also the time of year when sickness seems to come knocking on our door. With so many fun things planned this winter, I don’t want a cold or flu keeping us from checking off our list. That’s why I have stocked up on essentials at Kroger. 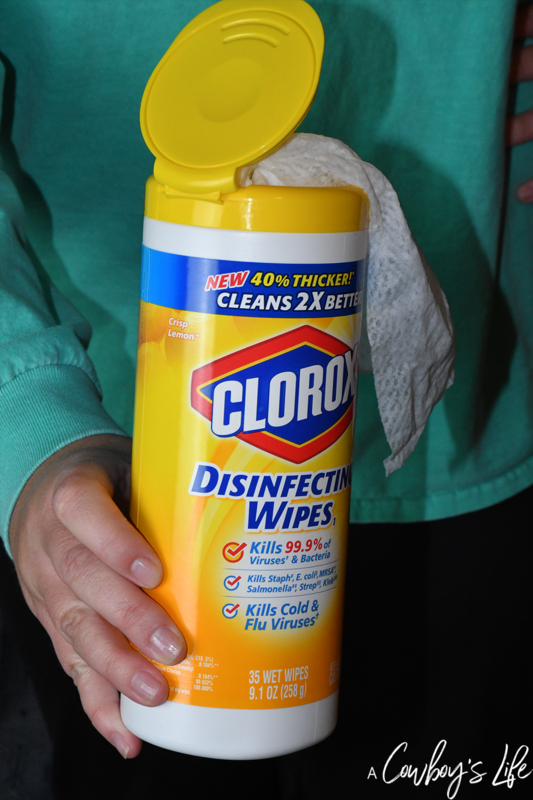 Here is what I keep in my house so that I’m prepared and keep my family healthy and able to enjoy the winter festivities. Abreva® Pump Cold Sore and Fever Blister Treatment – No one wants a cold sore showing up to ruin your Christmas photos. 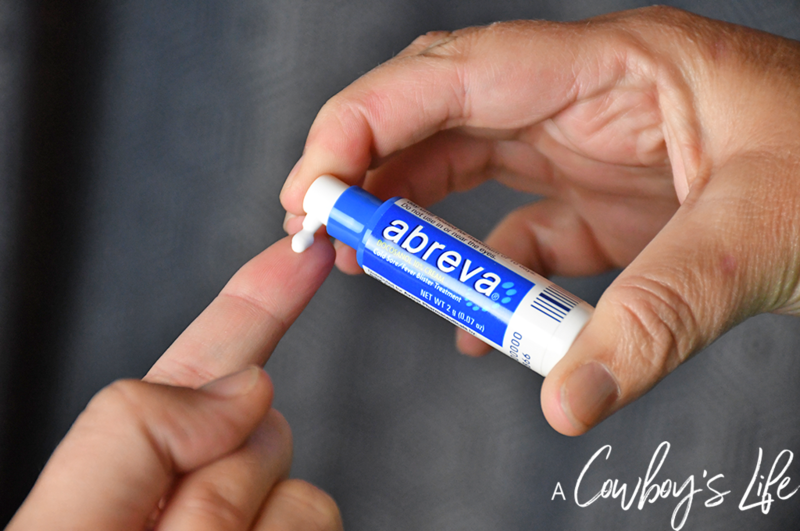 So at the first sign of a cold sore, I make sure to apply Abreva to heal the cold sore. It’s easy to apply and can heal a cold sore in 2 1/2 days*. 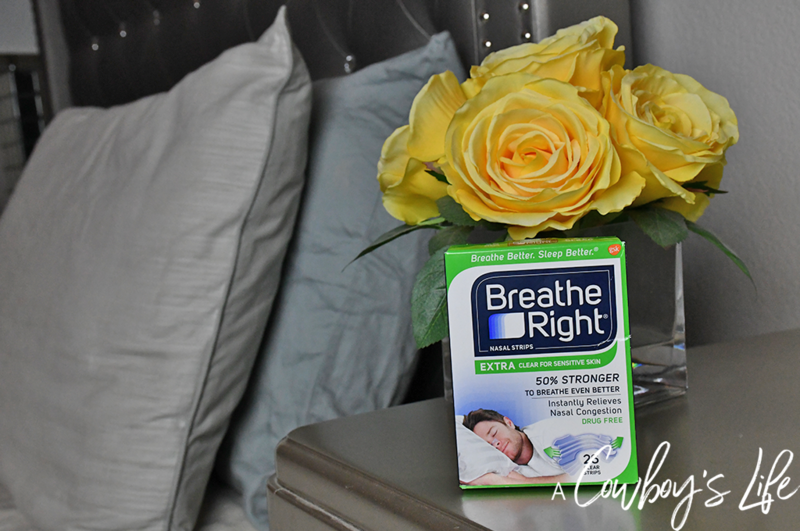 Breathe® Right Extra Clear Nasal Strips – Nighttime nasal congestion is no fun. It leaves you with a restless night sleep and snoring. But thanks to Breathe Right, not only am I able to get relief from congestion but also reduce snoring and everyone in the house can sleep much better! It’s easy to apply and opens your nasal passages. Children’s Robitussin® Honey Cough & Chest Congestion DM – The cold weather always seems to cause my son to have a cough each year. 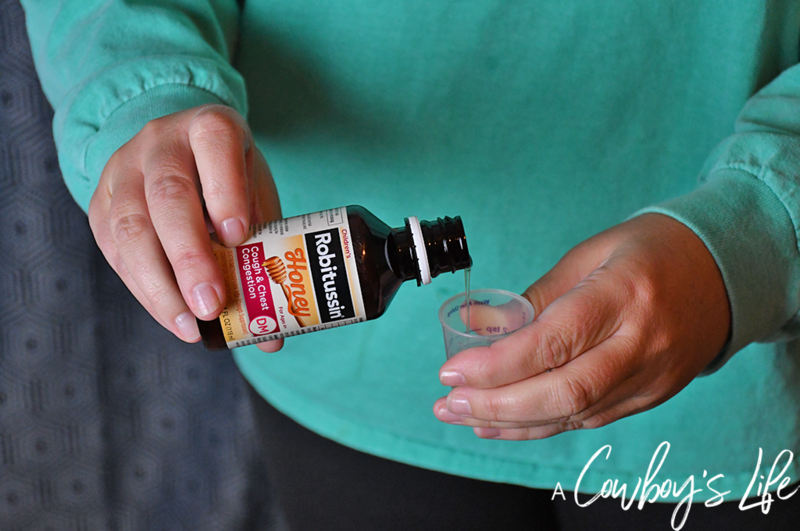 Children’s Robitussin Honey soothes on contact and provides cough relief for hours. It’s non-drowsy and helps kids feel better with effective cough relief, plus it has real honey! This product is intended for children 4 and up. Be sure to use this $1.25 off coupon through 1/4/19. 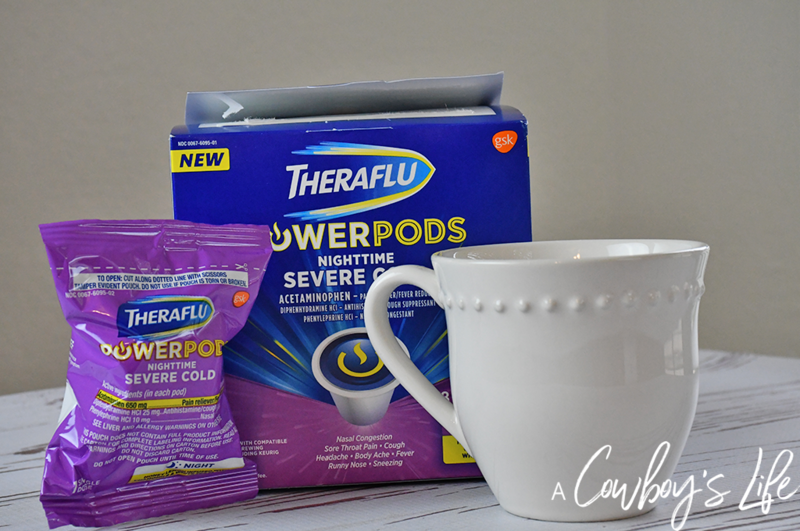 Theraflu Power Pods Daytime Severe Cold – Works with most single-serve coffee makers and helps relieves aches & pains, headaches, sinus congestion and sore throat. It’s powerful relief without a prescription. Press. Sip. Relief. Beginning on 12/9/18 through 1/26/19 you can get $1 Off Any Theraflu Product. 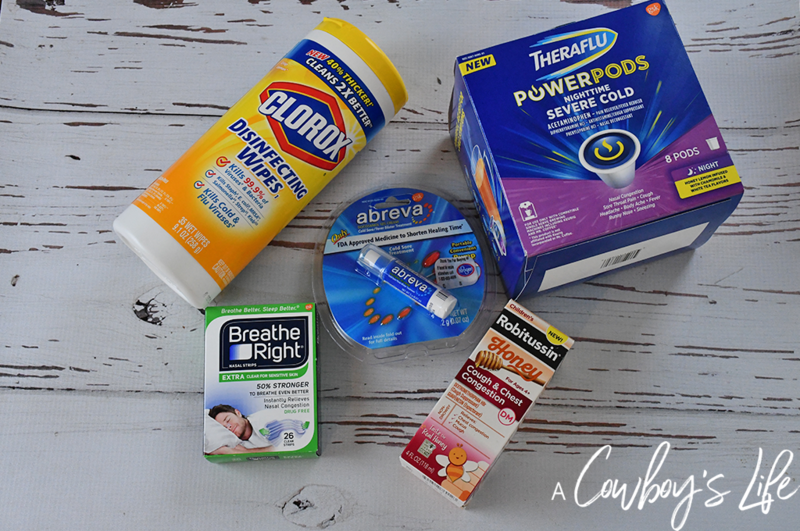 Beginning on 12/9/18 through 1/26/19 you can get $2 off Theraflu Power Pods, 12ct Powders, 40ct Caplets, and Syrups Twinpack. Remember, Theraflu Power Pods Daytime Severe Cold and Children’s Robitussin Honey should not be used at the same time. Knowing that my family will have relief from cold & flu season I can focus on our bucket list and making memories! 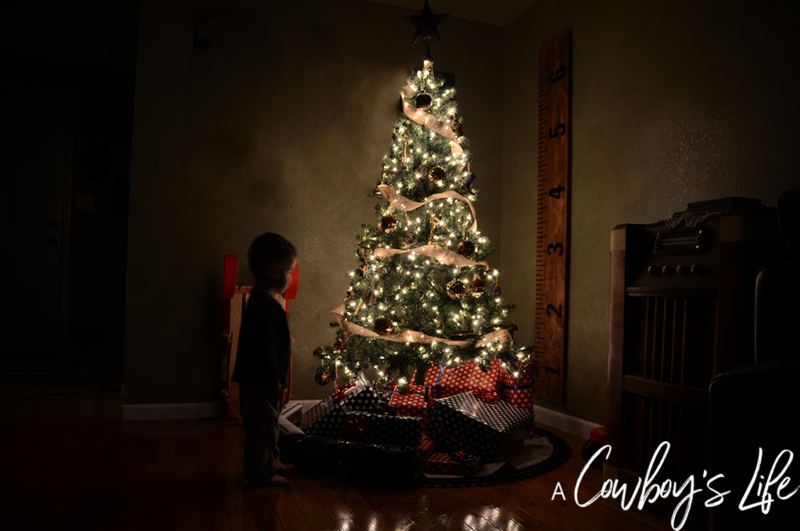 Read the Christmas Story – There is nothing like reading aloud the birth of Jesus story in Luke 2 to get in the Christmas spirit. Make homemade hot chocolate – It won’t be Christmas without homemade hot chocolate! It’s the perfect refreshment to enjoy while sitting by the fire or curled up a with a good book. Watch a Christmas movie – There is something magical about curling up on the couch watching a Christmas movie and drinking hot cocoa. Go ice skating – Bundle up and grab your mittens and head out for a fun of day of gliding (or slipping and sliding) out on the ice. Buy a sentimental ornament – Take your family shopping for a ornament that reflects all about the past year. Attend a holiday play – Dress up in favorite holiday attire and head out for a night out on the town. Take family photos – Grab your matching pajamas, set the timer on your phone and say cheese! Christmas lights – Take a drive through festive neighborhoods or drive through light park. Make S’mores – Grab a blanket, light the bonfire and roast mallows under the stars. Donate food – Donate much needed food to a local shelter. Get the entire family involved to put things in perspective and for kiddos to see how blessed they are.